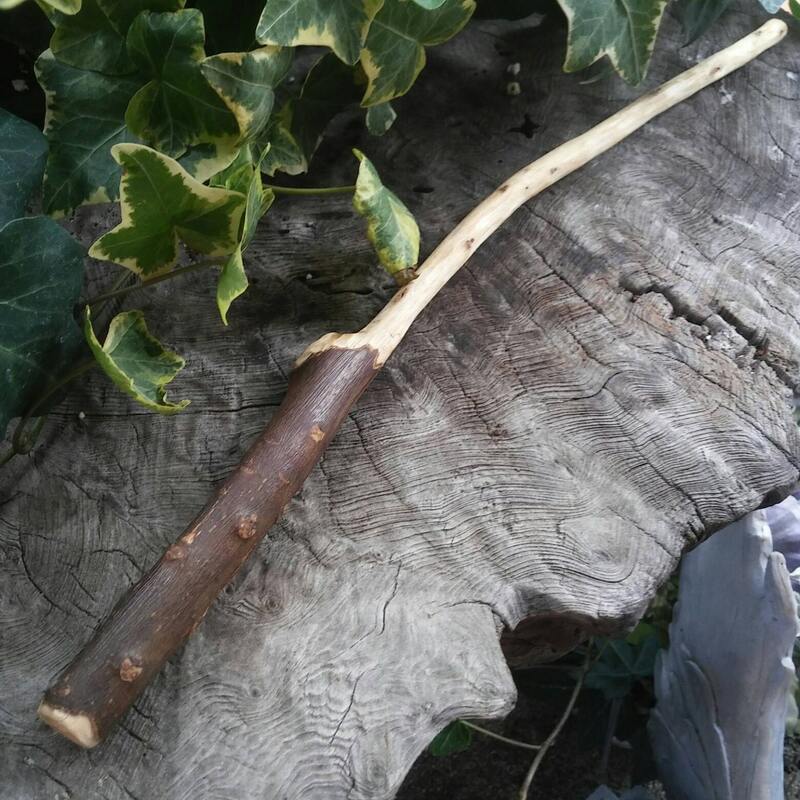 This new Avocado wand is a magic wand reminiscent of the Egyptian wands from long ago. 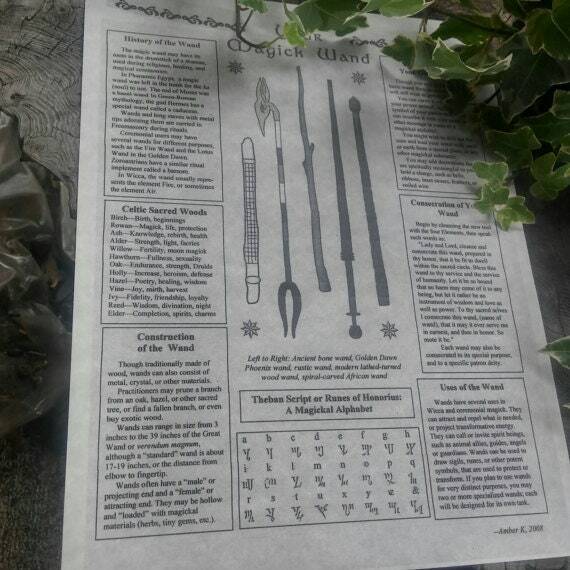 Many think of them as wands from Wicca since its inception, but there has been proof that well before the Wiccan expansion of paganism, some cultures, such as Egypt, used wands. In fact, it is thought that Egyptian witchcraft practioners created the first wands. The gender of the Persea/Avocado is Feminine, Planet is Venus, Element - Water, Deities are Thoth, Seshat, and Osiris. 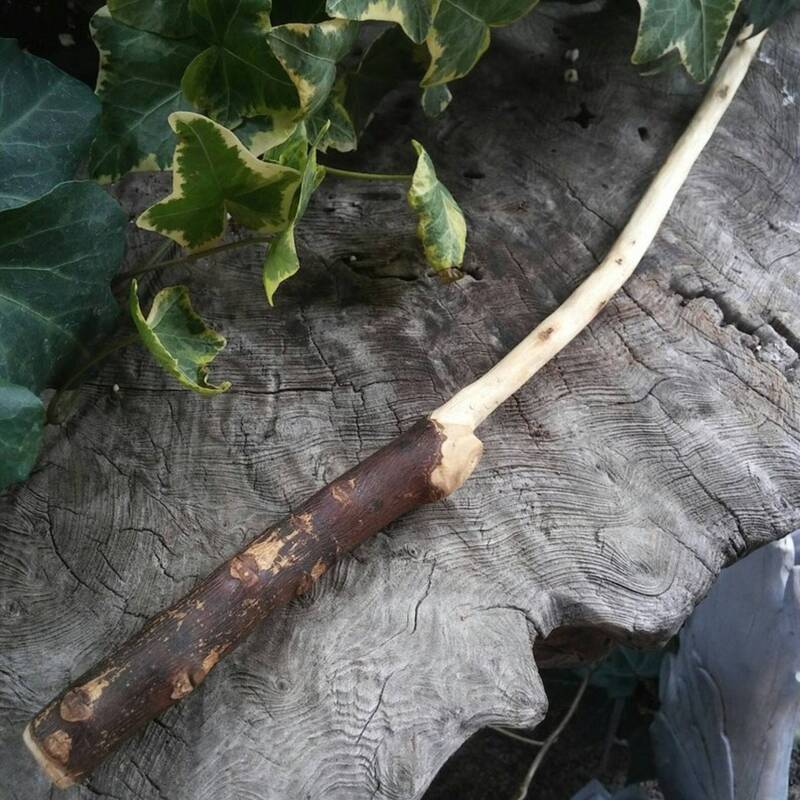 This is a one-off wand and will not be repeated, as is with all of our wands. 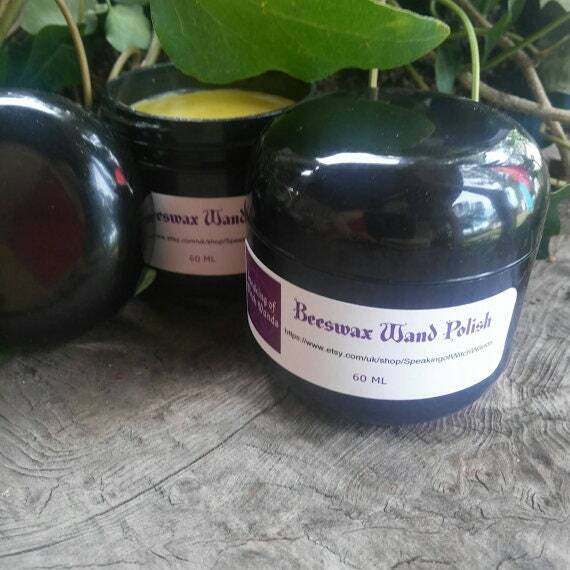 To keep the wood nourished, please try our Speaking of Witch Wands Beeswax Wand polish in our Witchcraft Supply section. The 60ml jar lasts an entire year.